Pink Polka Dot Books: Welcome to the FFBC: Save the Date by Morgan Matson-- Interview & Giveaway!! 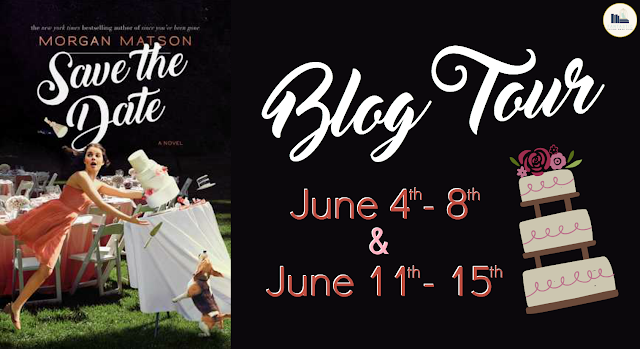 Welcome to the FFBC: Save the Date by Morgan Matson-- Interview & Giveaway!! Hi Morgan!! 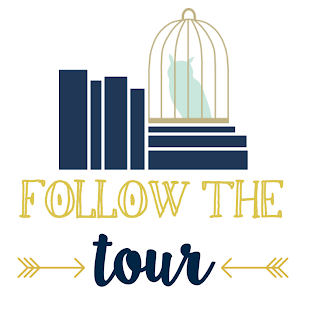 We’re so excited to have your book in our FFBC Tours, and can’t wait to ask you a couple of questions about your new book, SAVE THE DATE! Again, I can’t pick just one! Right now I’m loving Superstore and Killing Eve. A tie between It Happened One Night and Oceans 11. I loved the Emily series by LM Montgomery, From the Mixed-Up Files of Mrs. 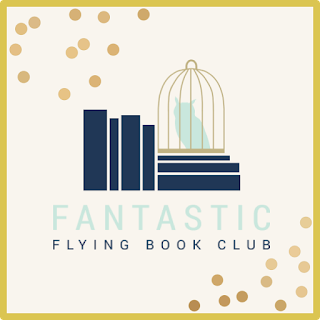 Basil E. Frankweiler, the Babysitters Club series, and the Wayside School books. SO many things! I actually love being a fan of things. It’s so much better to be excited about something than above it and dismissive, I’ve found. I love Marvel movies, Taylor Swift, Harry Potter/ J.K. Rowling, Star Wars….so many things. Maurene Goo’s newest release, The Way You Make Me Feel, is AMAZING. It’s a great summer story about love and friendship and food trucks. I adored it. 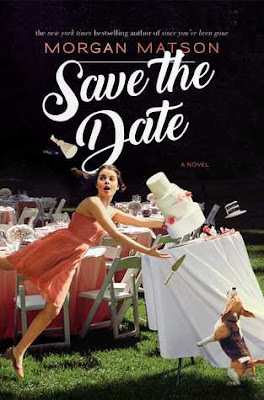 Could you tell our Book Addicts a little bit about SAVE THE DATE? Save the Date takes place over three wildly chaotic days in the life of Charlie Grant. She’s the youngest of five siblings, and the only one still living at home. And everything in Charlie’s life is about to change. She’s going to college in the fall, her parents are selling the house, and her mother’s long-running comic strip, Grant Central Station, is coming to an end. So in the midst of all this change, Charlie wants to make sure that everything does perfectly with her older sister’s wedding, which is being held at the house. Unfortunately, Charlie’s perfect weekend soon starts to fall apart, with wedding disasters, unexpected guests, surprise dogs, and the return of Charlie’s longtime crush. Over the course of three days, Charlie will learn more than she ever expected about the family she thought she knew by heart – and that sometimes, you have to let go of the past so you don’t miss out on the future. 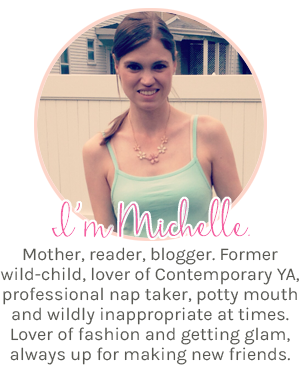 Besides reading, writing, and blogging, I love fashion!! What would Charlie wear on a typical summer day? Charlie’s style is pretty laid back – she’d rather be comfortable than on trend! I could see her wearing jean short cutoffs, flip flops, and a soft vintage T-shirt that she stole from her older sister. If you had to pick a favorite book boyfriend from your YA books, which guy would steal your teenage heart? Oh, this is hard because I love them all! But teenage me probably would have fallen hard for Frank Porter! He’s definitely swoon-worthy. Tell us your favorite quote from SAVE THE DATE. Do you have any funny/special moments from a wedding you’ve been to? Luckily, no wedding I’ve been to has gone as crazily off the rails as the wedding in the book does! But I feel like every wedding has its share of drama. I was at one wedding on an island off of Cancun, and there was a ferry that ran very intermittently. As the wedding was gearing up, there were definitely some panicked texts from people who were still on the ferry. But it all worked out in the end! If you had to pick one song to be the Theme Song for SAVE THE DATE– Which one would you pick? Either Sleep on the Floor by the Lumineers, or Any Way You Want It by Journey. Are there any recommendations you could give your readers to be in the “perfect mood” to read SAVE THE DATE (specific music, snacks…)? Yes! So I would recommend curling up with an iced latte and a strawberry frosted donut, putting a mix of danceable pop songs on in the background, and having a cute puppy sleep on your feet. Those are the ideal Save the Date-reading conditions. I have a new book coming out in 2020! 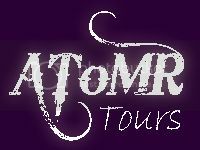 Not saying too much about it yet…hopefully I can reveal some details soon! Her third novel, Since You’ve Been Gone, was published in 2014, and was a Publisher’s Weekly and international bestseller. It was named to the YALSA Teens Top Ten list, and the Eliot Rosewater Indiana High School Book Award List. Morgan’s fourth novel, The Unexpected Everything, was published May 3rd, 2016. 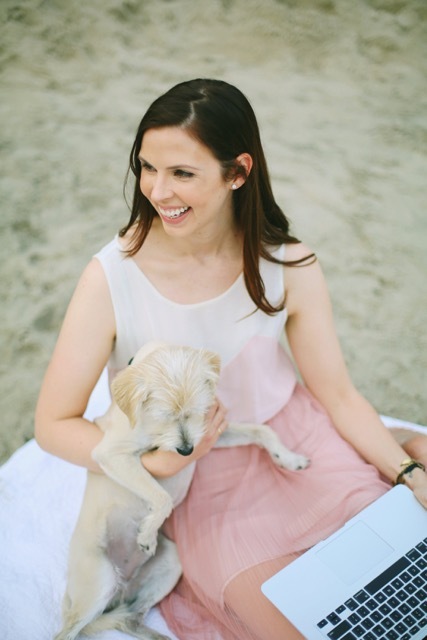 She currently lives in Los Angeles with her dog, Murphy. I read Save the Date and it was hilarious and cute! Definitely a new fave of mine. My other favorites include anything by Kasie West! This sounds like such a good read! I love cute contemporary books for the summertime, and Morgan Matson's books always scream "summer" to me!